DChoc Café: Dominoes is a mobile-based take on the traditional dominoes game featuring bright, colourful graphics and three game modes, one of which offers players the possibility of facing 30 opponents. 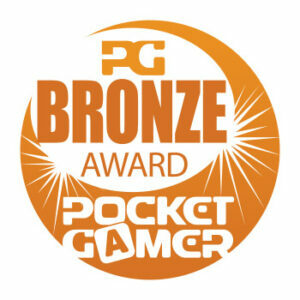 DChoc Café: Dominoes, entirely conceived and developed by the mobile games unit at the Digital Chocolate Barcelona Studio under my management, won a Pocketgamer Bronze Award. Café Dominoes is another polished, accessible entrant to the DChocCafé series. (…) it is undeniably good fun to play.